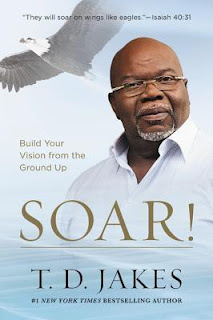 "Soar" by Jakes is a book that will inspire you to stop procrastinating the things that you've been dreaming to do all your life and start seeking to do the things on your must to do list. 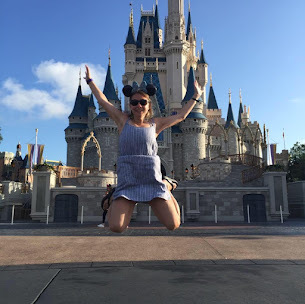 Maybe you have a bucket list or you've been stuck in a career that feels like a dead end, don't waste another minute, get ready to pursue your dream! Soar is a book that is full of wisdom on how we often become drained emotionally, physically, spiritually and financially, but how we can't stay stuck there. God has so much more for us! We must get out and pursue His best for us!! Let's take his vision and plan for our our life and soar to new heights! I liked chapter 12 the most where Jakes talks about excuses and how we often make them, but we need to push past them by making steps. This book has lots of practical wisdom on how to take your business, dreams or career to the next step. Not only do you want to move your life forward, but you want to leave a legacy of faith. Thank you to the publisher for providing a complimentary copy. I give this book 4/5 stars. A favorable review was not required. Bishop T.D. Jakes is the author of the bestsellers God's Leading Lady; The Lady, Her Lover and Her Lord; Maximize the Moment; The Great Investment; His Lady; Woman, Thou art Loosed (the film of which won the Best Film Award at the Santa Barbara Film Festival) and He-Motions. His daily morning show The Potter's Touch and weekly broadcast The Potter's House air on Trinity Broadcasting Network and Black Entertainment Television, as well as in Europe and South America. 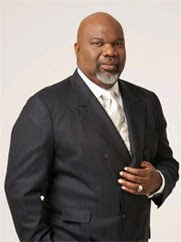 Bishop Jakes is the founder and pastor of The Potter's House, one of the fastest-growing churches in the nation, where he leads an interracial congregation of more than 28,000 members. He lives in Dallas with his wife and five children.